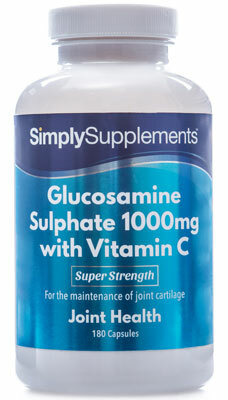 What is the Role of Glucosamine Sulphate? Although glucosamine is found naturally within the body, age, physical trauma and medical issues can compromise the body’s ability to produce this important compound. Unfortunately, the diet does not contain a significant amount of glucosamine to combat this issue. This explains why millions choose glucosamine supplements to support an active lifestyle. 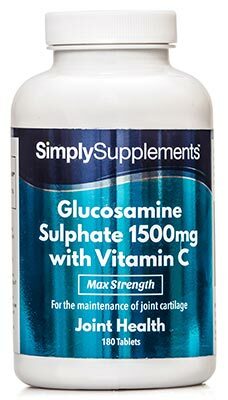 Simply Supplements Glucosamine Sulphate 1500mg tablets with Vitamin C represent a convenient and effective method of increasing intake and replenishing levels within the body. 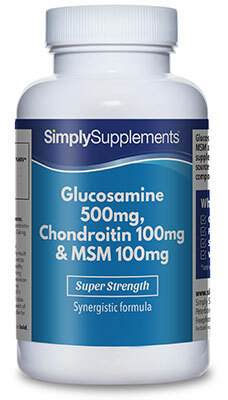 The majority of clinical trials that have researched the ability of glucosamine have used a dosage of 1500mg per day. This research formed the basis of the formulation process implemented by our in-house team of nutritional experts. 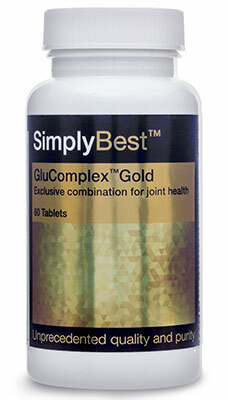 Also, understanding that convenience is a major factor for many consumers, the scientific development team at Simply Supplements created this product to deliver the optimum dosage of glucosamine in a single tablet. Vitamin C contributes to the normal formation of collagen, which is an important connective tissue that is needed for proper functioning of the bones and joint cartilage. It also helps to protect the cells from oxidative damage, and supports the maintenance of the immune system during and after intense physical exercise. 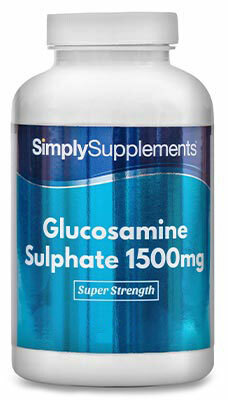 Glucosamine Sulphate 1500mg with Vitamin C represents the perfect daily support for the maintenance of healthy cartilage function, as confirmed by the European Food Safety Authority. Each tablet of Glucosamine Sulphate 1500mg with Vitamin C is produced using advanced compression techniques that ensure a physically resilient tablet that is able to withstand the rigours of storage and transportation, but it is still easily digestible and biologically assumable. Potassium chloride was included as part of the overall compound for the purposes of improving chemical stability, and, because of its high bioavailability, the sulphate form of glucosamine was chosen for use as the active ingredient. 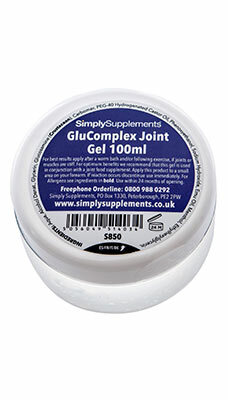 Although glucosamine can be produced from several starting materials, this product exclusively features glucosamine that has been ethically derived form a marine source. 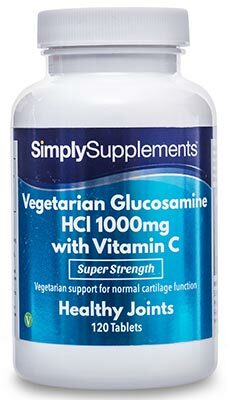 Simply Supplements Glucosamine Sulphate tablets with Vitamin C are made with the shells of shellfish found in clear and pollutant-free waters. 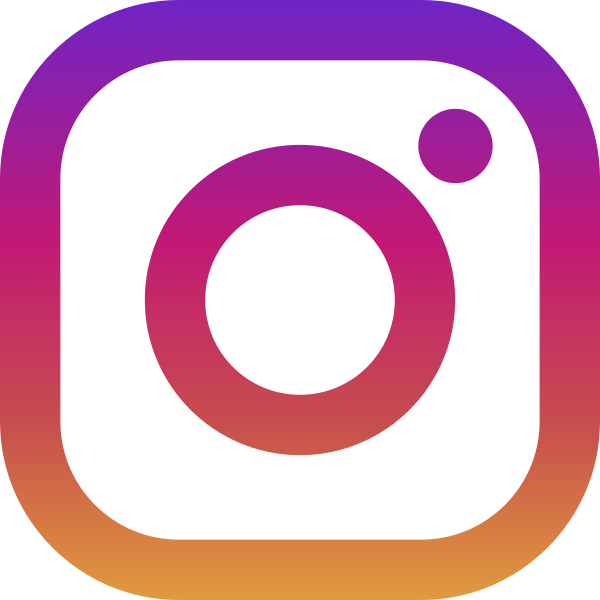 All raw ingredients are of the highest grade, and our UK based state-of-the-art production facility allows us to manufacture a premium-quality product without the use of any harmful additives.